Free Rap Music from Tupac aka Makaveli, the thug who put the rap world on his back. "I Wonder if Heaven has a Ghetto", will be a song that resounds thru the ears of the hood. Tupac had a vibe that reached down and grabbed the misbegotten of the street. Makaveli displayed the heart of a general leading his troops thru the fog. Tupac's rhymes were for the lost souls that were searching for a better way. Tupac entered the scene by working for and with the group Digital Underground and rip the mic on the song title, "Same Song" in 1991. Tupac released his first solo album, 2Pacalypse Now in 1991. This was his first cry out for the agony that young black men were feeling on the streets. Tupac knew that there were voices not being heard and he responded with a bass sound so hard that it violently shook windows throughout neighborhoods across America. Playing what the people want immediately directed the spotlight on his life. Communities were being devastated by drugs, gun violence, and police brutality. Tupac spoke to the people in the eye of the storm to let them know that there was someone who understood their feelings and what they were facing in a country that seemed to not care. Makaveli awoke to withstand the pressure of stardom and jealousy from all sides. He made sure to keep Tupac from bending to popular culture by not changing his style. 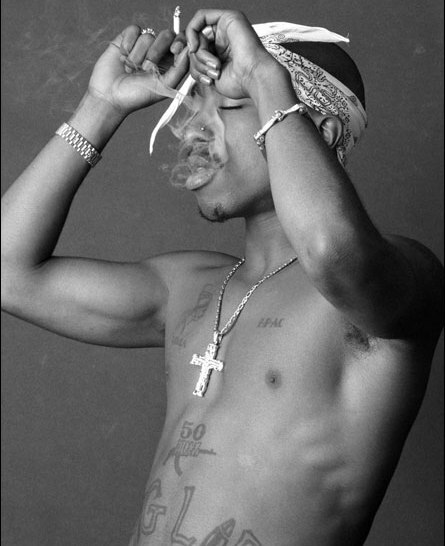 Imprinting "Thug Life" on his body was his claim to stay true to the man he had become. 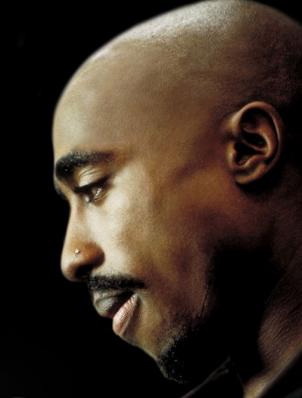 Every man is tested in his quest for life, and Tupac was no different. One famous rapper said, the more money you get the more problems you receive. 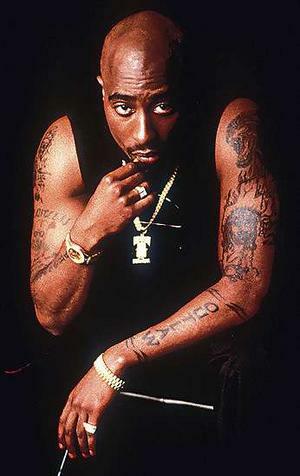 Tupac had his battles with the law and still remained strong and writing songs. On September 7, 1996 we lost Tupac in Las Vegas to gun violence. He is remembered and will never be forgotten, Rest in Peace! Musicjox salutes Tupac's thug style and the music legacy he left behind. We will keep the light on for Makaveli until he is ready! Sit back and listen to hip hop music. Enjoy free rap music from the man sipping Bacardi on a tropic island! !